Since 1979, A Advantage Logistics, Inc. has given corporations, car manufacturers, and individuals, quality auto transport service. Thousands of people choose us for their car shipping needs every year and save hundreds of dollars! Why Get Your FREE Car Shipping Quotes from CarMoves.com? You can get auto shipping quotes directly from car shipping companies, or you can opt to use a car shipping broker, like CarMoves.com – who can save you a great deal of money on your car shipping rates. The auto transport prices are much lower at CarMoves.com because many companies are competing for your business. You can receive up to 7 shipping quotes and compare their pricing and services side-by-side in minutes. A Advantage Logistics has more than 30 years experience shipping cars, so we’re very knowledgeable about the industry and work with the best car shipping carriers in the US and around the world. If you are planning to ship a car, see how much you can save by getting your auto transport quotes from CarMoves.com! Door to Door Car Shipping at A Advantage Logistics, Inc.
With our fleet of modern car carriers, we set the industry standard for car shipping efficiency and unparalleled service. Our auto transport trucks are equipped with satellite tracking, and are fully insured to protect the value of your investment. With terminals in most major cities, we offer the convenience of local drop-off and delivery of your vehicle. Personalized service, convenience, confidence, and value are just a few reasons our customers entrust their vehicles to us for car shipping year after year. In previous years, the auto transport industry was something that was primarily used by car dealers and large companies to move their stock around the country. However, with the growth of the Internet, consumers are no longer restricted to browsing for and purchasing cars locally, which has lead to a boom in the demand for car transport services when people buy cars from other states, most frequently using online services. Perhaps one of the best things about the growth in interstate transport is that it has led to a reduction in the cost of moving cars between locations. Because auto transport companies now have a continual demand, they are able to move cars in bulk from place to place, which translates into a lower cost for the consumer. The number of cars on the road has also contributed to this growth. These days, many more people own cars than did in the past, and, if they are relocating or are purchasing a new vehicle from a far off destination, using the services of an auto transport company is the most efficient form of moving cars. Like all industries, services between different companies can vary immensely, so it’s a good idea to do some research at the onset to ensure that you are getting the best service and car shipping rates. A good auto transport company will be more than happy to answer your queries and give evidence of the premium quality car moving service that they provide. If you’re buying and shipping a car overseas, you can find the best international car shipping companies here at CarMoves.com as well. Auto transport companies offer very useful services when you decide that it’s time to move your vehicle. 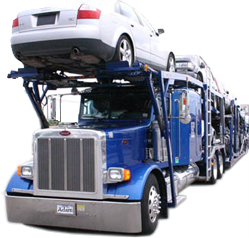 In fact, most businesses will move your vehicle using state-of-the-art car carriers, which provide a strong, frequent and reliable service to your destination. Of course, it’s likely that, if you have never had to use an auto transport service, you might not know where to begin. Many car carriers advertise in the local paper and telephone directories, though the most common place today is on websites. However, these advertisements don’t ensure that you will receive the best service. One way to find the right auto transport company for you is to call them to inquire about the services they offer. When you talk to different auto transport companies, it’s important that you ask them for a quote to deliver the vehicle to your chosen destination. 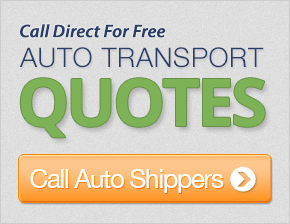 Keep in mind, not all auto shipping quotes are the same. You may find that some businesses, which seem to offer the cheapest service, don’t include many of the features and options that are desirable for safe and reliable car transport. By talking to different companies, you will get a good idea of the service you can expect when dealing with them, which will aid immensely when making your decision to move a car. Auto transport isn’t expensive and can take much of the hassle out of a relocation, so do inquire about how car transporters can help you with your move. Be sure to ask your car shipping company about the specifics of shipping your car so there are no surprises down the road. Once your car shipping questions have been answered and you’ve chosen your transporter, you need to make sure your car is ready for the move. Take an accurate assessment of your vehicle’s current condition. Document any existing damages, and clean out your car. When the transport driver picks up your automobile he will be writing a “bill of lading.” This will be his visual assessment on the physical condition of your car. Make sure that you review this before signing, and, if there are any discrepancies, you discuss and note your differences so that they are acknowledged at the time of loading your vehicle. Both the driver and your signature are required on this “bill of lading.” This is the formal documentation used by the auto transporter and the insurance company as acknowledgment of the condition of your automobile. This formality provides protection to both the auto transporter and you if a problem arises during transit. If you have any concerns at the time the auto transporter arrives to pick-up your vehicle, make sure to clear the air before you release your car. You should, by this time, have a clear understanding of the car shipping process. A Advantage Logistics takes all the worry out of shipping your car. As an experienced automobile transporter for more than 30 years, we pride ourselves on offering our customers the smoothest transport experience from start to finish. At A Advantage Logistics, Inc., our goal is to eliminate your stress and save you time and, more importantly, a lot of money! At CarMoves.com, we believe that, in order to keep our business running, customer service must be the number one priority. We’ve been satisfying owners of family cars, exotic cars, vintage cars and classics cars for three decades, and pride ourselves on on-time, hassle-free vehicle transport. We believe in treating every car as if it were our own, and ensuring we exceed your expectations with the best auto transport services. To learn more about the auto shipping, please visit our auto transport guide, where you will find helpful videos, auto transport reviews and many other valuable resources to ensure your move goes smoothly!